With over 25 different games available the Pro Batak is exceptionally versatile. Our Pro Batak Walls are amongst the most popular activities we offer. This rapid reaction challenge creates an instant buzz at any event. The compact footprint makes this ideal for smaller exhibition stands and at around 30 seconds a game allows high throughput too. The concept is simple but very addictive! Each player has to hit as many lights as they can in a given time period – usually 30 seconds. As soon as they hit one light – the next one lights up. 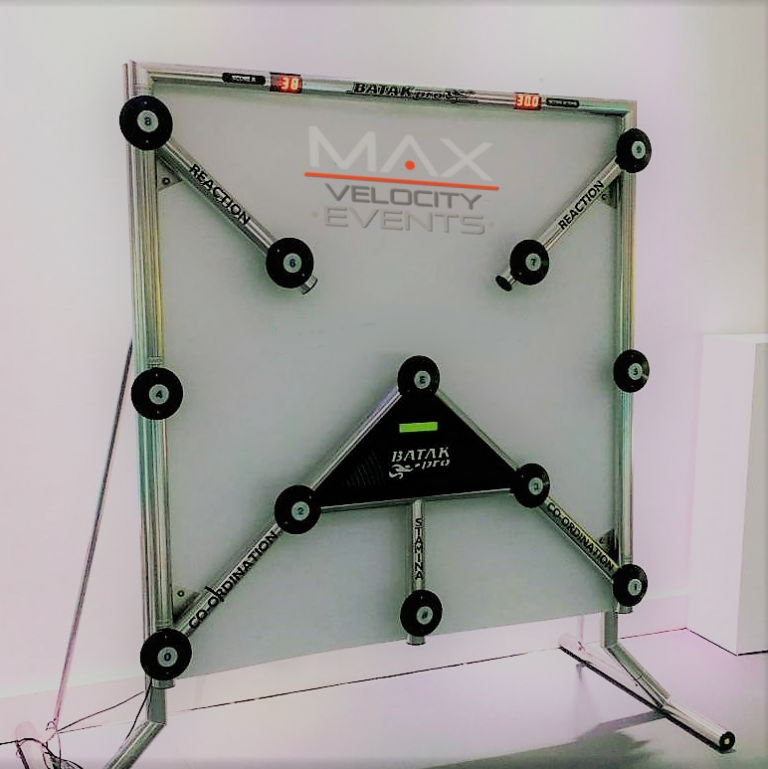 Simple – yet very effective, the Pro Batak Wall will be a real attention grabber and draw in crowds whatever your event. What comes with your Pro Batak? Our friendly and motivating event staff can manage the whole operation of the Wall, encouraging guests and visitors to try it out, making sure you maximise your event time. Available anywhere in the UK and beyond, this high energy activity is guaranteed to attract and entertain your guests and visitors.